Deluxe Twin Serviced Apartment in Roppongi, Japan – Jarman International K.K. When you come for a stay of one month or more in Tokyo/Yokohama or elsewhere in Japan, consider using a comfortable, home-like serviced apartment. When you’re traveling, domestic chores like cooking and laundry can be difficult sometimes. Also, if you eat out for every meal, your traveling funds fly away very quickly. 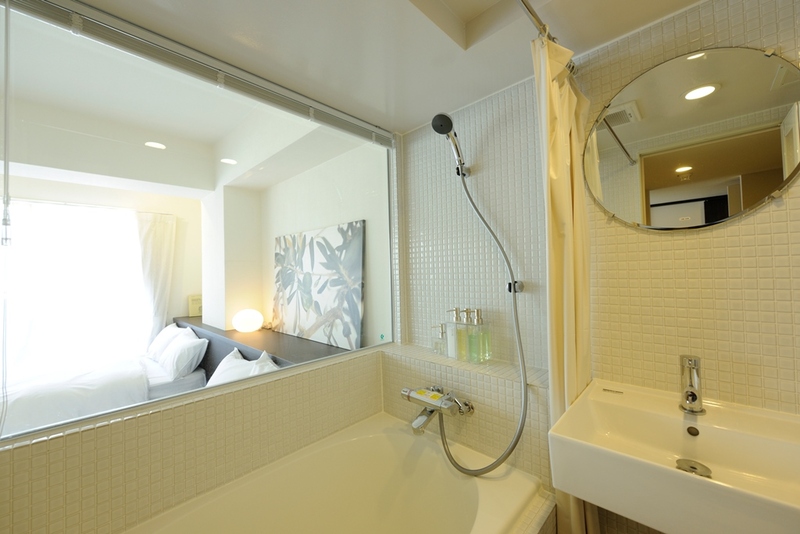 So, Hotel & Residence Roppongi (just between Gonpachi and Roppongi Hills in Nishi Azabu) offers Serviced apartments that provide relaxation and peace of mind….just like you were at home. As a start, you have a nice kitchen with cooking utensils and tableware, a microwave, an iron/ironing board, washer/dryer…basically everything you need is there and ready for use. With a nice kitchen, balconies and windows/balcony to let in natural light and air, weekly housekeeping and linen service; a serviced apartment lets you settle in and feel at home along with the full benefits of a hotel, all on a much less intrusive level. Hotel & Residence Roppongi Presents a new availability, Delux Twin Apartment 1209. This is perfect for mid to long-term business or private stays of one month or longer. Over 25 square meters in area, compact but larger than ordinary business hotels. The design is clean and fresh with naturally styled furniture. Stylish and contemporary, the room is ideal for a single guest or couple. Available for check in now, Delux Twin Apartment is a unique, 27 sq. meters twin with two beds, full kitchen/bath/washer and dryer, linens, appliances, free wi-fi and more. The monthly rate is 320,000 yen (including free wi-fi, full furnishings, 24-hour multi-lingual concierge service, access to the restaurant/business lounge/cafe/meeting salon facilities, ). Credit cards and individual lease are welcome and contract terms are flexible, so please inquire for more information from here. This is a residence so no tax is applied. The Hotel & Residence Roppongi staff looks forward to serving you during your stay! There are a couple more rooms you can choose from depending on your purpose, taste and budget. Please feel free to contact us for more information from here.